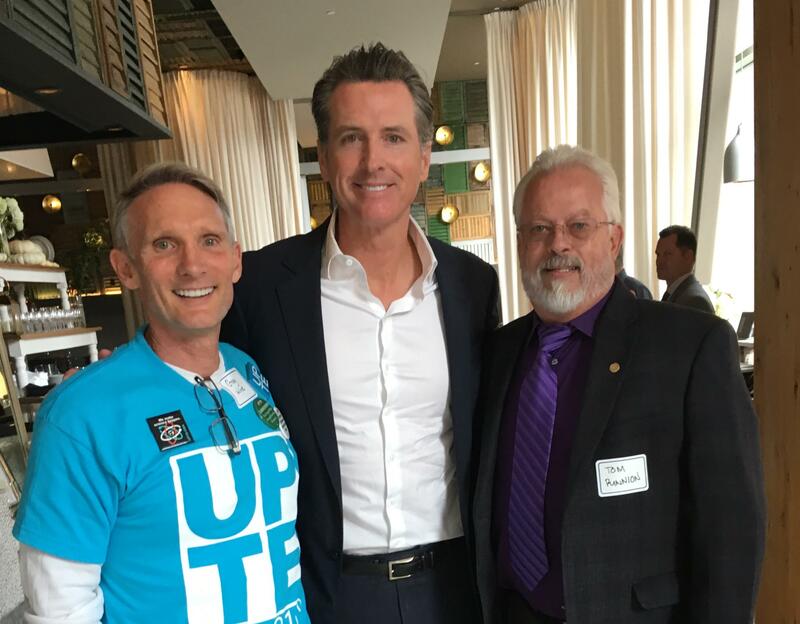 (From left) Greg Wine, UPTE Davis Chapter Vice President, Gavin Newsom for CA Govnernor and District 9 Vice President, Tom Runnion. 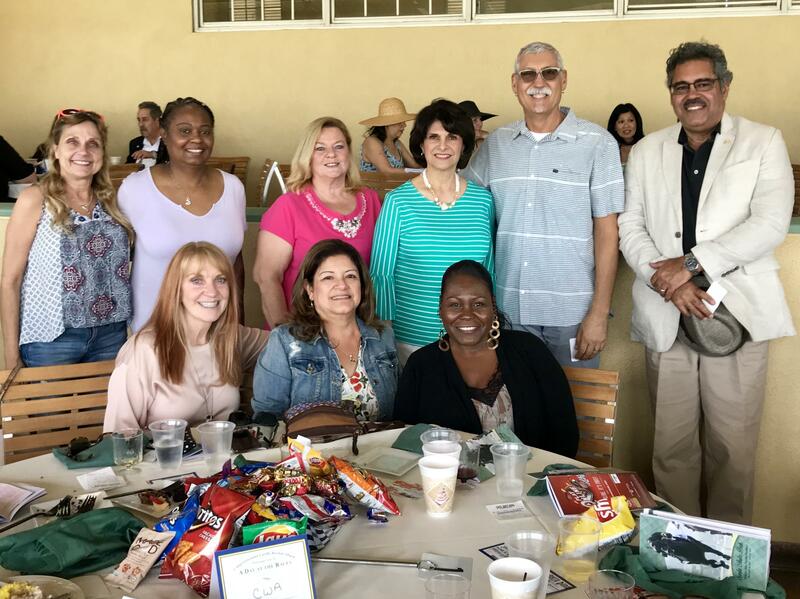 CWA Local 9003 L&P Team, SCC & District 9 Staff Rep, Judy RaPue meet with Katie Hill at HQ in Stevenson Ranch, California. 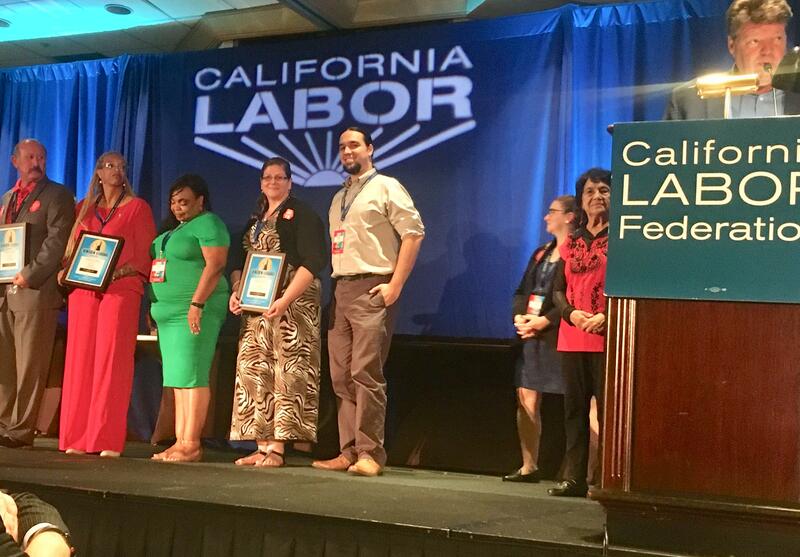 Top Left 2nd person is, Martina Rangel-Ortega and Janet Fields of CWA Local 9588 along with Karen Macias of CWA Local 9400, pictured sitting, bottom left. 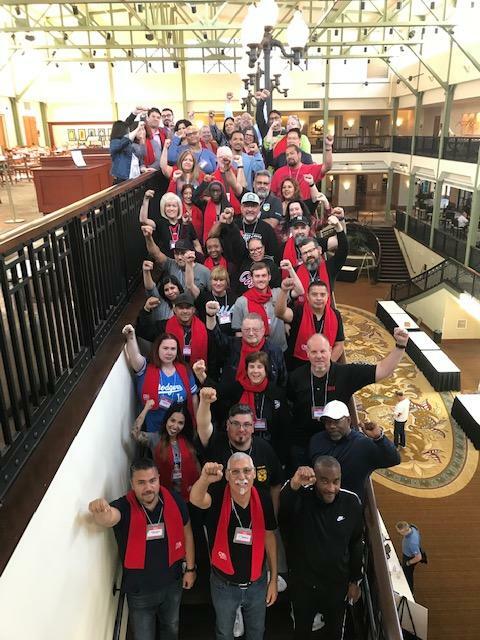 Our allies at this meeting were representatives from Grid Alternatives, 350 Riverside, Unitarian Social Justice Committee and American Lung Association. 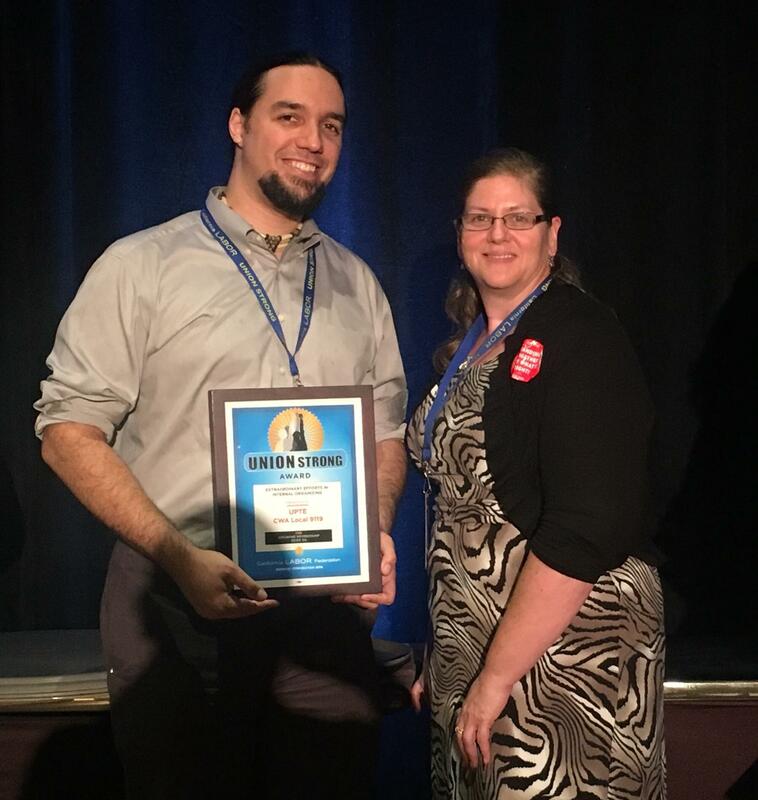 Jamie McDole, President, and Joaquin Chavez, VP, of UPTE receives recognition for increasing union membership by 5% at the Biennial Convention of the Cal Labor Fed! 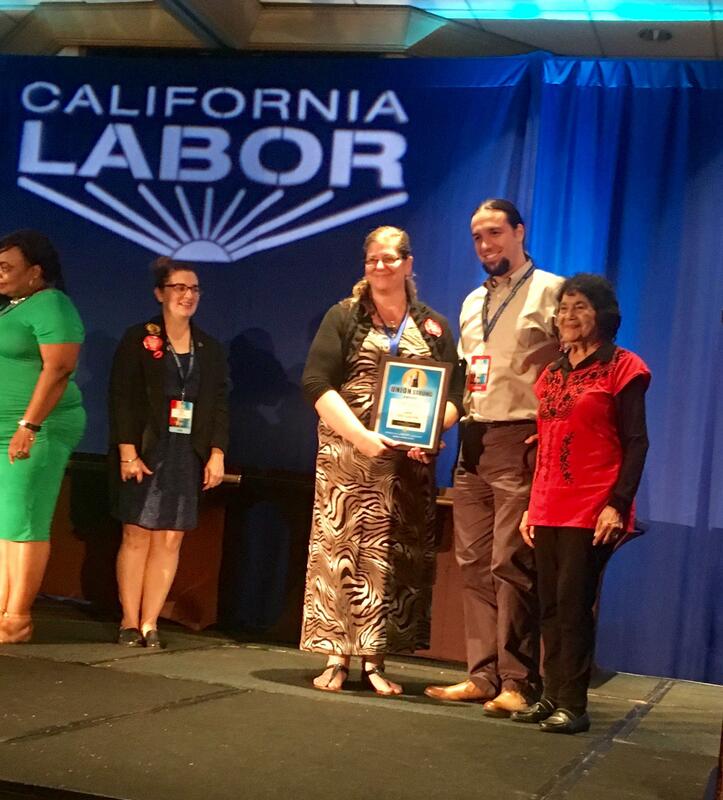 The award was presented by the legendary labor leader and civil rights activist, Dolores Huerta. 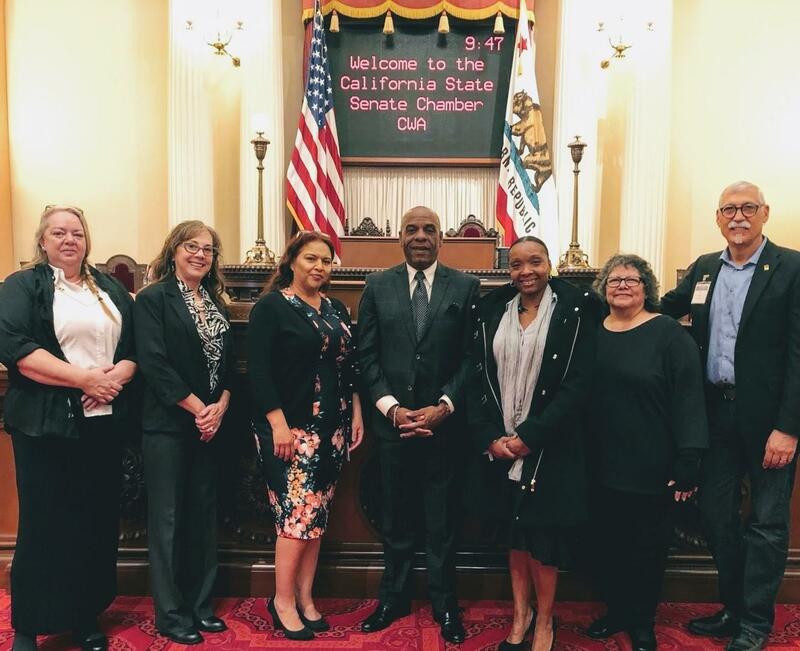 Pictured standing L-R: Marisa Remski 9003, Sheila Bordeaux 9003, Pandy Allen 9003, Congresswoman Lucille Roybal-Allard, T Santora 9003 and Eric Norwood 9003. Seated L-R: Ellen West District 9. 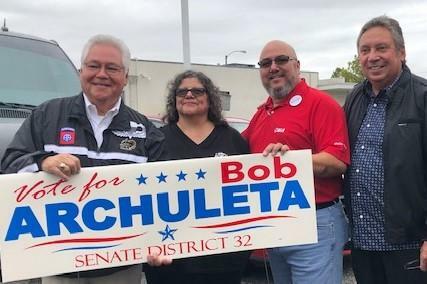 Judy RaPué District 9, Maya Austin 9505. 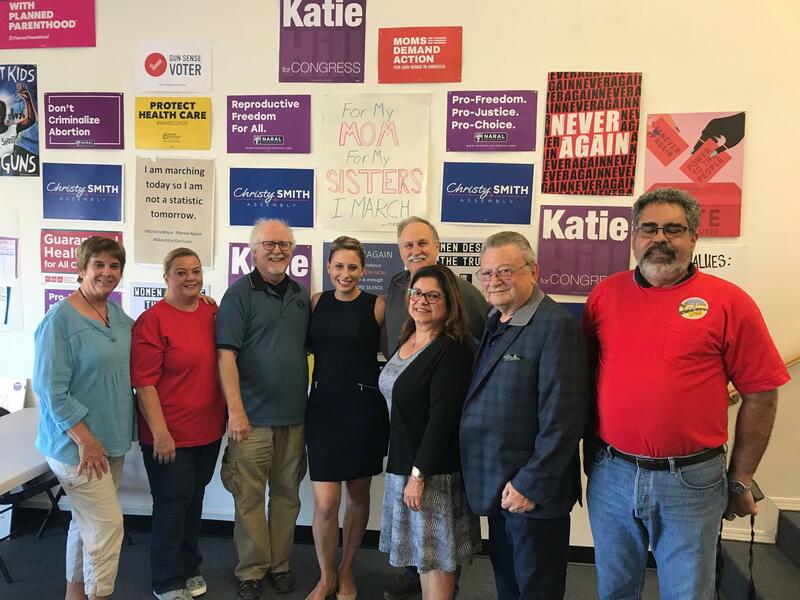 Pictured Left to Right: Janet Fields 9588, Taren Conforti 9586, Jennifer Villarreal 9400, Sen. Steve Bradford of LA, Reyna Hart 9400, Karen Macias 9400, T Santora, Chair CWA SCC. 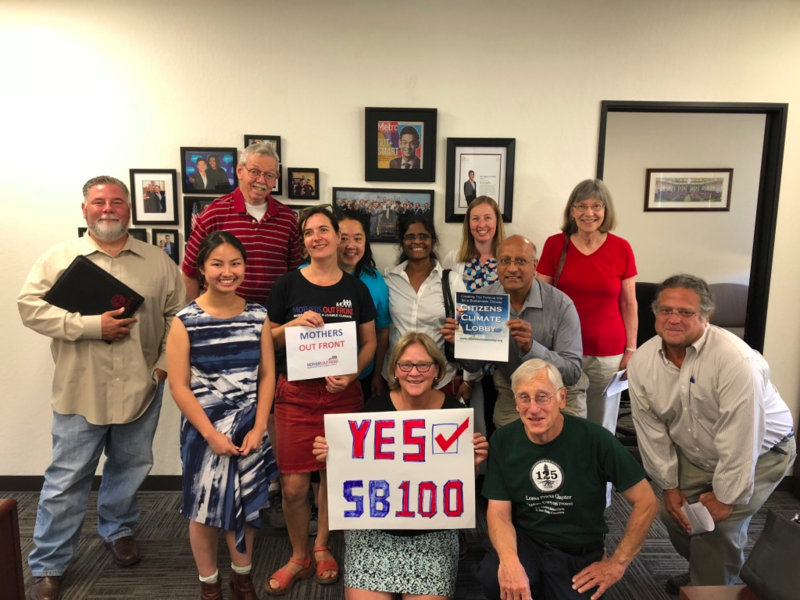 CWA Coalition Meeting with Assemblymember Sabrina Cervantes about California's Energy and Climate Goals. 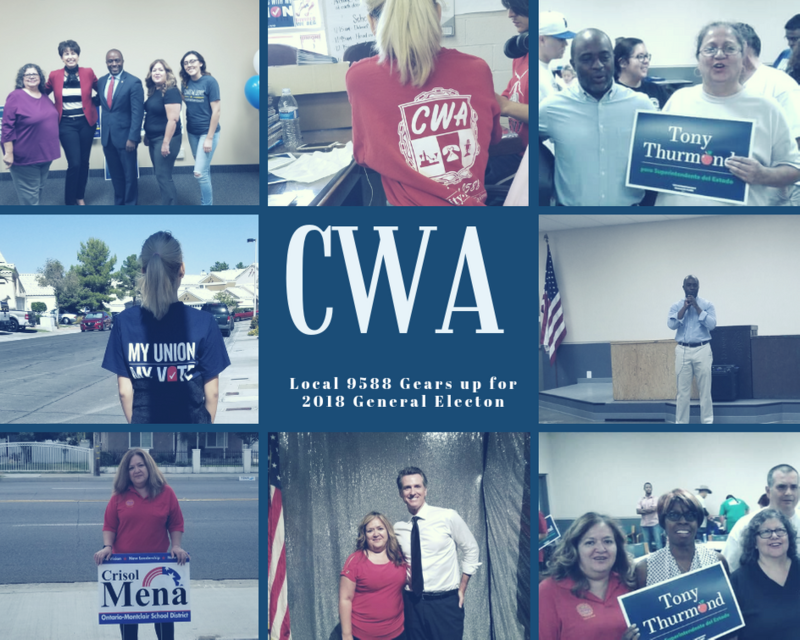 Gavin Newsom meets with CWA while District 9 locals gear up for the 2018 General Election.